The competition among e-retailers today goes beyond just pricing alone as the focus is also on convenience and fast delivery. The Mart 11 concept allows consumers to enjoy a 48-hour delivery service within the Klang Valley and RM 11 cashback for late service. Across the ASEAN region, the outlook for grocery shopping is looking bright as it is expected to become the world's largest market worth almost US$180 billion by 2020. 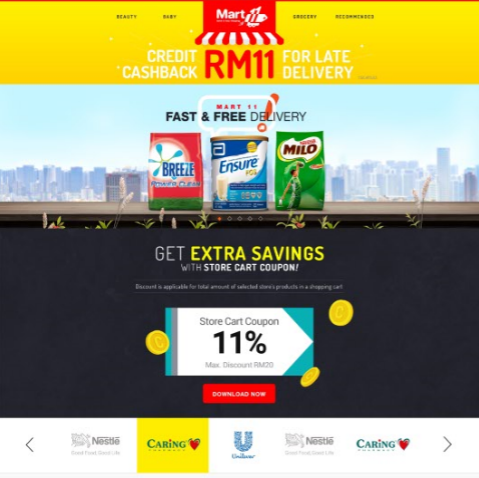 To cater the rising demand for household and grocery items online, 11street launched Mart 11 today, its first campaign with a promise of 48-hour delivery within the Klang Valley as one of its new commitments towards enhancing the grocery shopping experience in Malaysia. 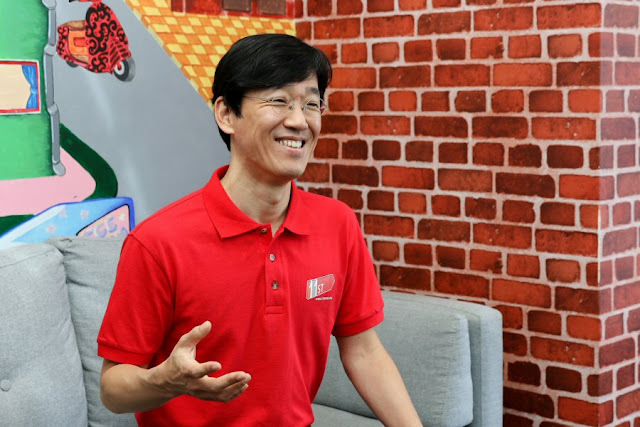 Chuljin Yoon, Chief Operating Officer of 11street said, "The digitalisation of grocery shopping is a crucial step in the e-commerce industry. The Mart 11 concept is a way to enhance shopping experience with specifically household and grocery items, making it much more convenient to shop from the comfort of your home. It features 10 renowned brands every month showcasing over 1000 daily food and beverage, baby essentials, and daily essentials." Tracing back to 11street's Year End Outlook Survey last year, it is discovered that interest to purchase household and grocery items online will increase from 7.8% to 40.4% in 2017 - an estimated of 5 times increment from 2016. This also puts household and groceries items as one of the "Top 3 Categories Most People Are Likely to Explore in 2017". In relations, the sales figure of 11street Malaysia within the period of January to August 2017 reported a surge in the grocery sale category by 158%, in comparison to 2016 of the same period. The top 5 most purchased grocery products identified are chocolate malt powder, milk powder, diapers, soft drinks, and grains. "As one of the leading e-commerce platform, it is our goal to fine tune customer experience by offering them the convenience of purchasing goods anywhere at any given time. The cashback serves as a seal of confidence in our logistic support to deliver the package within 48 hours," added Yoon. In addition to the promotions in Mart 11, customers can also enjoy additional 11% store cart coupon on top of the discounted products. Malaysian online shopping behaviour has changed drastically over the year, from purchasing lifestyle, electronic and beauty products to now including fast moving consumer goods and groceries. The trend in fresh produce delivery has also become prevalent through the rise of many grocery delivery start-ups. Yoon added, "Going beyond the ordinary, 11street is one of the first online marketplaces in Malaysia that can deliver frozen goods to your doorstep with just a click away. To do so, we have forged strong partnerships with brands such as Wall's and Nestle to deliver ice-cream to selected areas or states in Malaysia. "We foresee potential in the Malaysian market to advance forward in the grocery shopping revolution. With the establishment of Mart 11, we are confident that 11street will be the anchor for the online grocery shopping market in Malaysia, and to continue serving consumers a quality product variety with reliable logistics service at competitive rates," concluded Yoon.